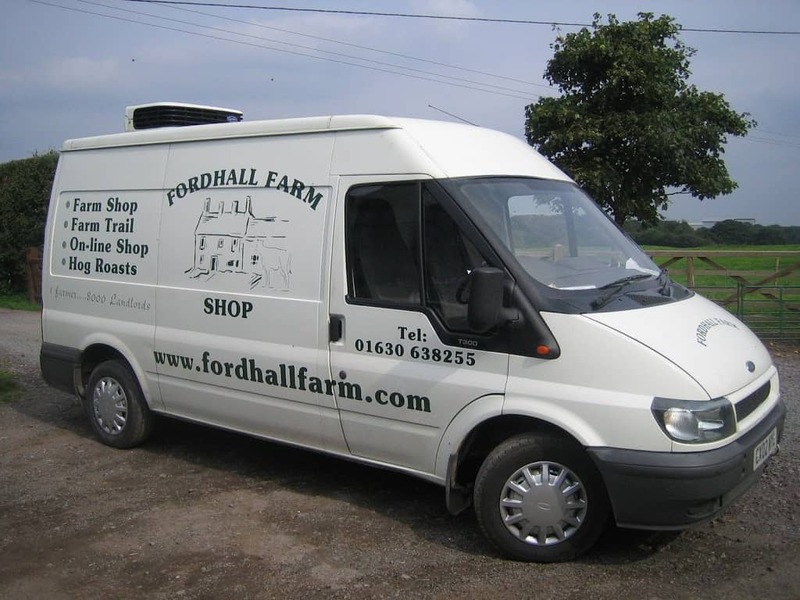 Farmer Ben has started a new venture this summer at Fordhall Farm, with a new van and Hog Roast machine. He started off hiring a machine and with one of our Gloucester Old Spot pigs he would attend events, weddings or private parties. But, as the requests grew, he soon knew he needed machinery of his own. After reseaching it he found that the machines and a means of transport were going to be too expensive. Then Charlotte came across a grant North Shropshire Distric Council were offering to small businesses to help them purchase capital equipment – perfect!